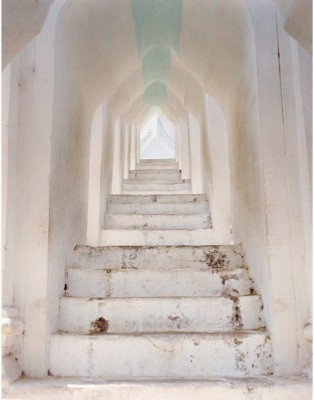 Above photograph "Stairway to Heaven" (Mingun Temple) ©by Linka A. Odom. We all have an unerring internal guidance system which informs us when we are moving in alignment with our best choices and not. Most of us have had experiences in life that either cause us to distrust our internal wisdom or prevent us from realizing that we can access it. At times on our journey, we benefit from having a guide who can lead us toward the truth that already lies within us, toward the path that awaits our discovery. Sometimes, all it takes is a little nudge or gesture and we find our way. Are you ready to move forward, to grow, to heal, to ascend to greater heights? How much good is possible for you? How much better can your life become? Together, let's help you find your path to the great possibilities awaiting you. Heal from past abuse or trauma. Release yourself from addictive behaviors. Experience life with greater ease. Feel worthy of your heart's desires. Discover and live your life's purpose. Create a life to match who you want to be.... one that makes you feel good about being you. There is no better moment than now.